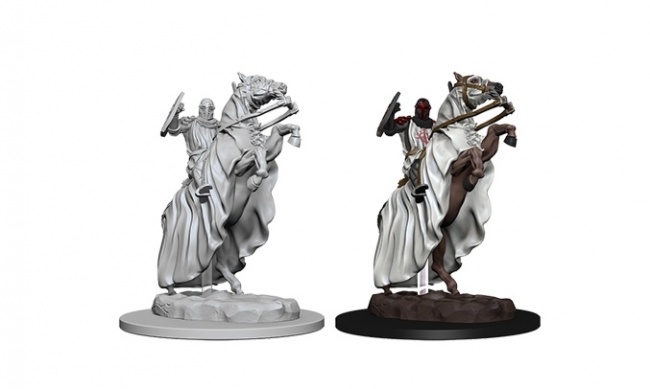 WizKids continues to expand its lines of unpainted plastic miniatures with 10 more Pathfinder Battles Deep Cuts and 11 new WizKids Deep Cuts kits scheduled to release in May. The new models, which come pre-assembled and pre-primed, feature deeper detailing for simplified painting. The models are packaged in clear plastic packaging to allow customers to easily view them. 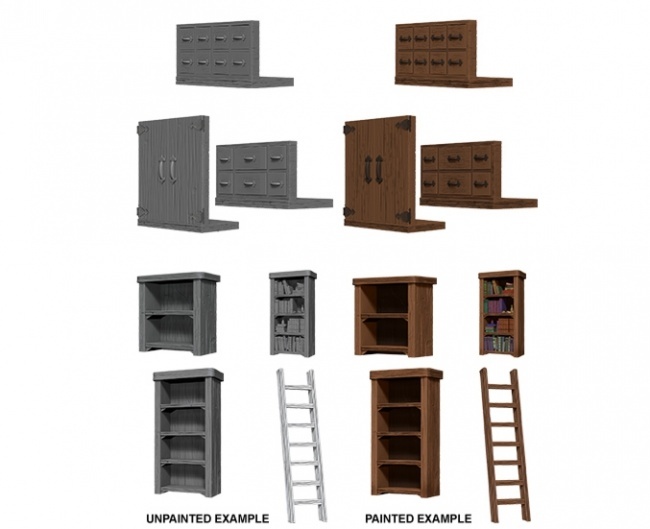 The Archivist Library set includes 2 bookcases, 6 empty shelves, 2 partial shelves, 3 full shelves, 3 drawers, 2 cabinet doors, 1 bookcase ladder, and 2 short bookcases. MSRP is $24.99. Wizards Room, bulging with 3 sets of books, 2 bookends, a skull candle holder, jars and bottles, and a crystal ball. Check out the gallery below for pictures of the new miniatures. 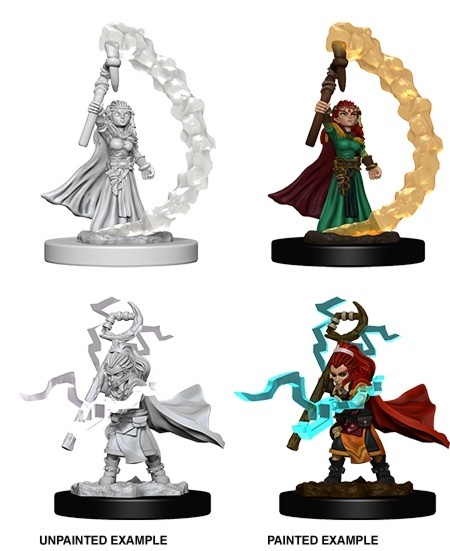 WizKids recently released a batch of models for the growing line (see “‘Deep Cuts’ Unpainted Line Expands”).